…but it’s not an easy catch by any means! 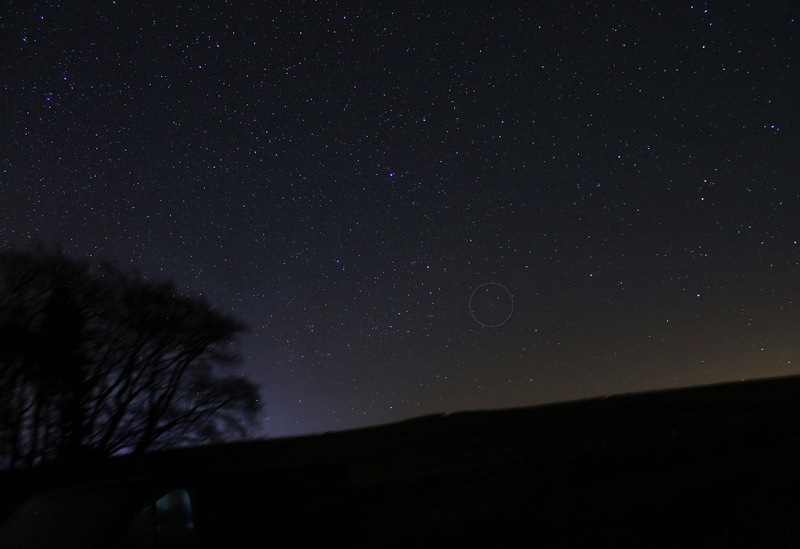 For a start, seeing the comet means getting up (or still being awake!) in the very early hours, as 252P isn’t really high enough to see until around 1am, and even then it isn’t high enough to see properly for another good hour or so. Then you can look for / at it for a good couple of hours before the sky starts to lighten with the approach of dawn. But even then observing the comet will be a challenge because it is quite a large and diffuse object, much more like a misty, out-of-focus star than a traditional comet with a defined head and a tail trailing behind it. 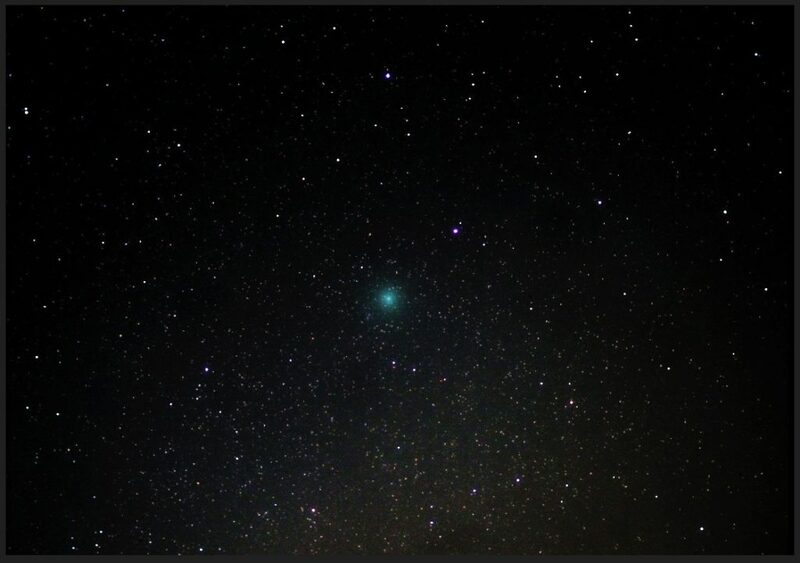 Observers are reporting it is still magnitude 5 or so, which means it is technically a naked eye comet, but because of its diffuseness and low altitude you’ll only have any chance of seeing it with your naked eye if you go somewhere really dark. 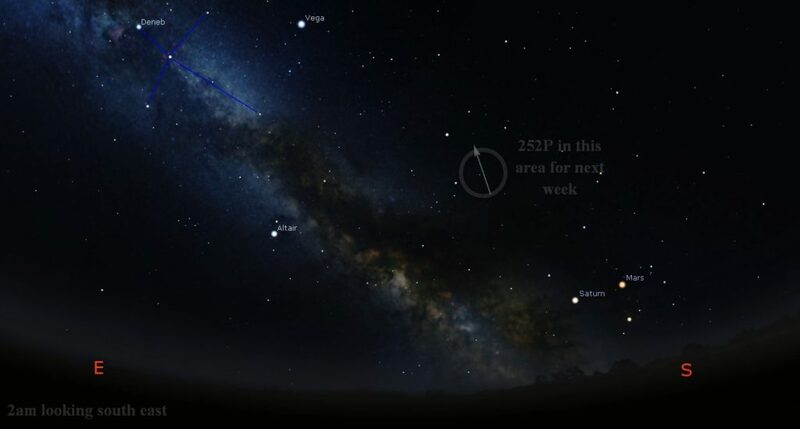 252P is much more likely to be seen through binoculars or a small telescope. 252P is easily visible in binoculars and small telescopes, so despite the challenges in seeing it you should definitely give it a try. Good luck!